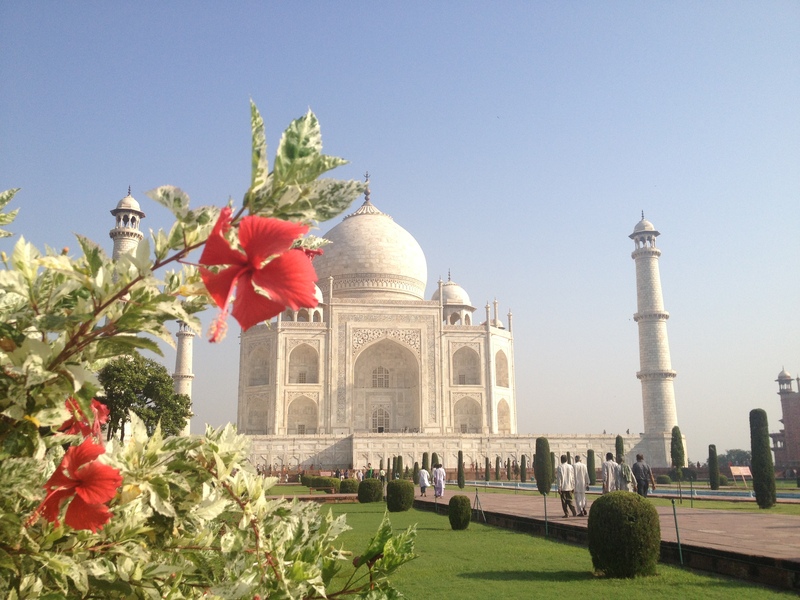 24 hours in Agra was just enough time to visit India’s greatest monument. 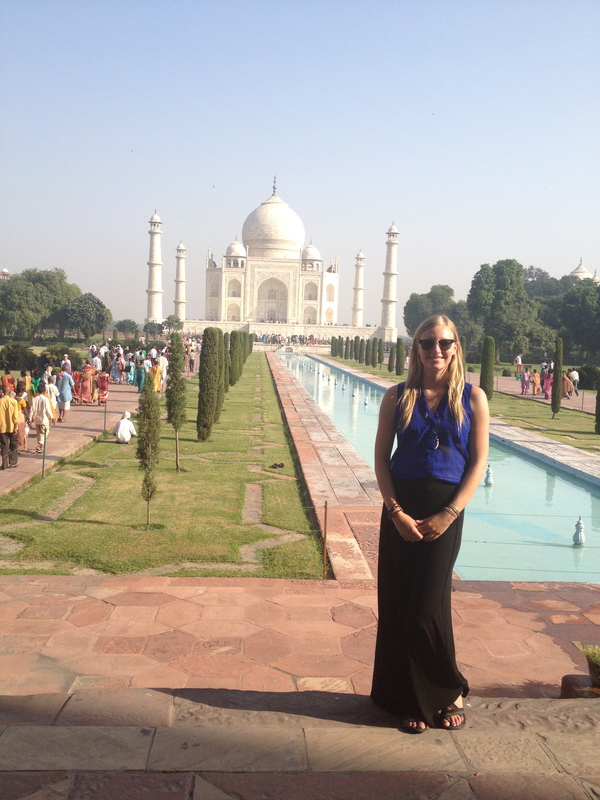 We arrive early evening to enjoy a great meal on top of our hotel with the Taj staring back at us. The next morning we rose at 5am to get there when the gates opened. By 6:15 there was a long line behind us as we impatiently waited to be let in. We immediately fell in awe as we approached one of the greatest symbols of love. We spent hours aimlessly walking around, staring, snapping pics, and meditating. I had no idea two beautiful mosques sat on each side of the tomb. 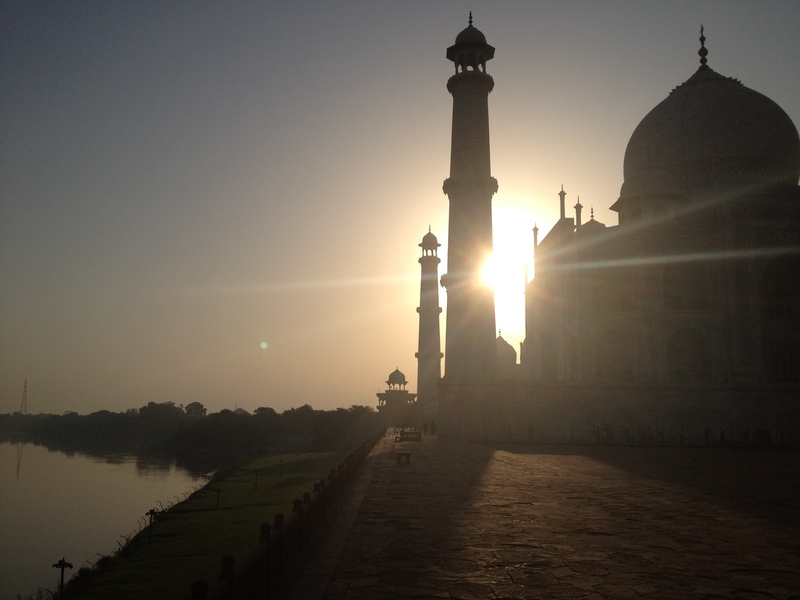 These never appear in pictures and are just as breathtaking as the Taj itself. Described as ‘a teardrop on the cheek of eternity’ the Taj was built by Shah Jahan as a memorial for his 3rd wife, Mumtaz Mahal. Started in 1632 the entire complex was not finished until 1653. In 1666 Jahan was buried next to her. I could only dream of a man building me something so beautiful when I die. 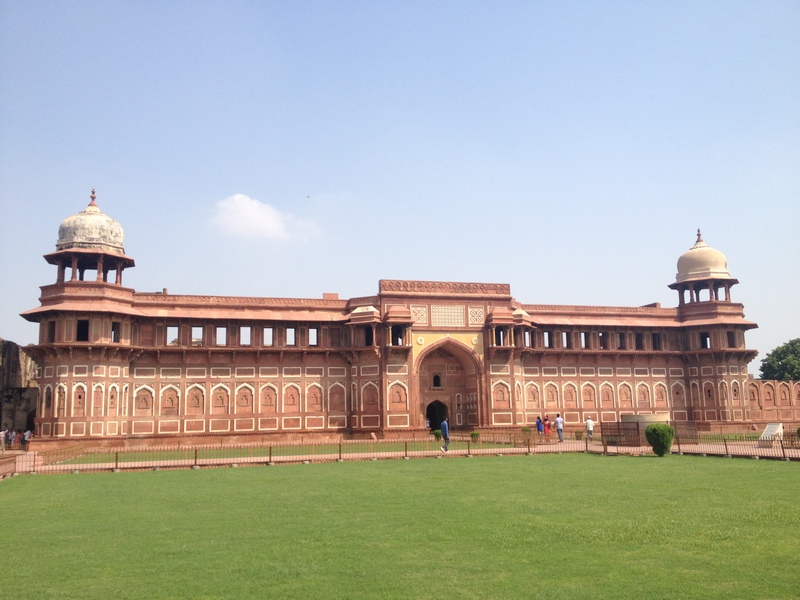 After a few final snaps and a walk through the museum, we left one of the world’s wonders and headed to the Agra Fort. This massive interconnecting maze-like structure began construction in 1565 by Emperor Akbar and later his grandson, Shah Jahan (who built the Taj) added white marble and turned part of the military post into a palace. We wandered around the fort for a few hours. 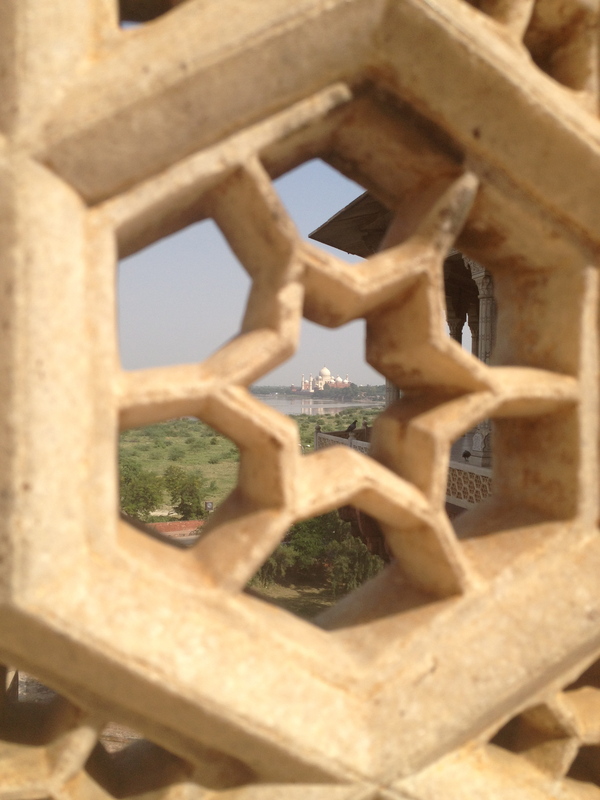 It has a great view of the Yamuna River and the Taj although much of the fort was blocked off. I’m sure there were hundreds of underground passage ways and secret doors and I was bummed not able to explore. 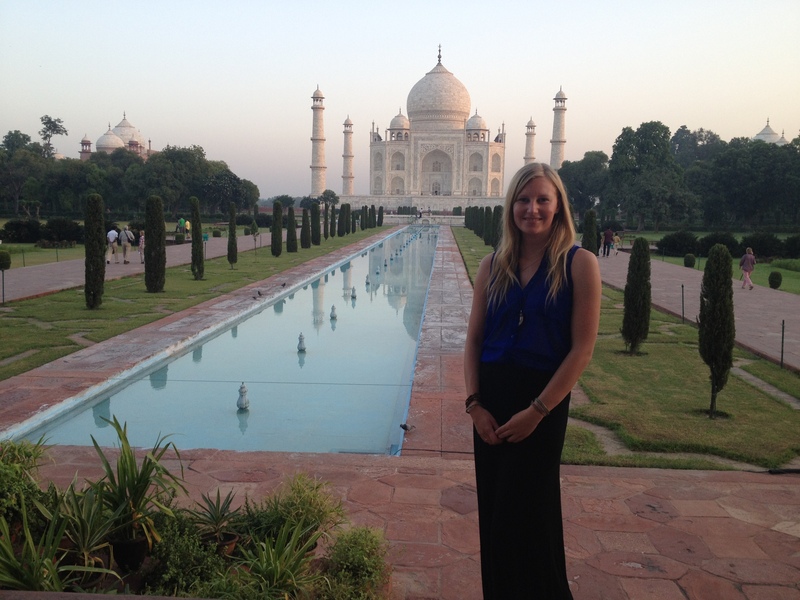 There are a few more interesting sights to see in Agra but those two were enough for us. Back to the train station and back to the sleeper car for a long 13hr trip to Udaipur. Another fun train experience, this time we didn’t realize our tickets were wait listed (all it says is WL in front of a number) until getting on the train. Without enough time to run to the ticket window and no train conductors in sight we jumped on a random car where many people were willing to help out. Thankfully we found a tiki tiki (what they call conductors) and he found us seats. The family across from us had a wonderful time observing us and would not stop laughing with us. We spoke to them in the little Hindi we know and they laughed more. It was an entertaining ride to say the least. Arrived in Udaipur around 6am…more on my favorite Indian city next.